My ability to prepare strong appellate and dispositive motion briefs gives my clients an advantage. I enjoy analyzing the law and facts in a tough case from an academic perspective and using my unique writing skills to persuade the court to rule in our favor. Kelley Clark Morris focuses her practice on resolving all types of commercial litigation and appellate matters for upstream and midstream oil and gas clients, ranging from energy-related disputes over operating agreements, title issues and royalty interests to traditional business litigation involving commercial contracts, fraud, fiduciary duties and much more. 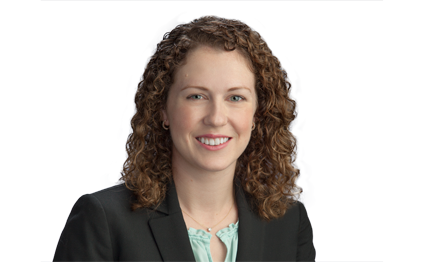 She also has significant experience representing the firm’s construction and downstream clients in litigation involving diverse issues, including contract, indemnification and insurance coverage disputes. Kelley guides clients through every stage of the trial and appellate process, in both state and federal courts, as well as in arbitration. Before joining Gray Reed, Kelley clerked for Justice Paul W. Green of the Supreme Court of Texas for the 2013 – 2014 term, where she enjoyed a behind-the-scenes look at the decision-making process of the justices in a variety of energy and business disputes. Kelley also drafted opinions, prepared recommendation memoranda and presented issues at case conferences among the justices. This experience laid the foundation for Kelley’s extensive appellate practice, and other lawyers at the firm often seek her advice on appellate procedural issues and interpretation of court orders. During law school, she interned for U.S. Magistrate Judge Jeffrey C. Manske of the U.S. District Court for the Western District of Texas. Obtained a take-nothing jury verdict and final judgment on behalf of an operator sued for surface damages allegedly resulting from oil and gas operations. Successfully obtained a partial summary judgment on statute of limitations grounds for an oil and gas marketing company sued for alleged conversion resulting from an underlying title dispute, limiting potentially damages by more than 90 percent. Successfully obtained a full dismissal for a Houston-based civil engineering firm in a business dispute after the plaintiffs failed to comply with Certificate of Merit requirements under Chapter 150 of the Texas Civil Practice and Remedies Code. Successfully obtained a full dismissal, with prejudice, for an engineering firm in a personal injury suit after the plaintiffs failed to comply with Certificate of Merit requirements under Chapter 150 of the Texas Civil Practice and Remedies Code. Successfully obtained a dismissal for lack of personal jurisdiction through a special appearance on behalf of a Indian-national sales broker against a non-compete claim filed by the former employer, a Singaporean company, in Houston. Represented two major U.S. retailers in a patent infringement lawsuit in federal court in the United States District Court for the Eastern District of Texas, Marshall Division. Anglo-Dutch Energy, LLC v. Crawford Hughes Operating Company, No. 18-0050 (pet. filed Jan. 23, 2018).